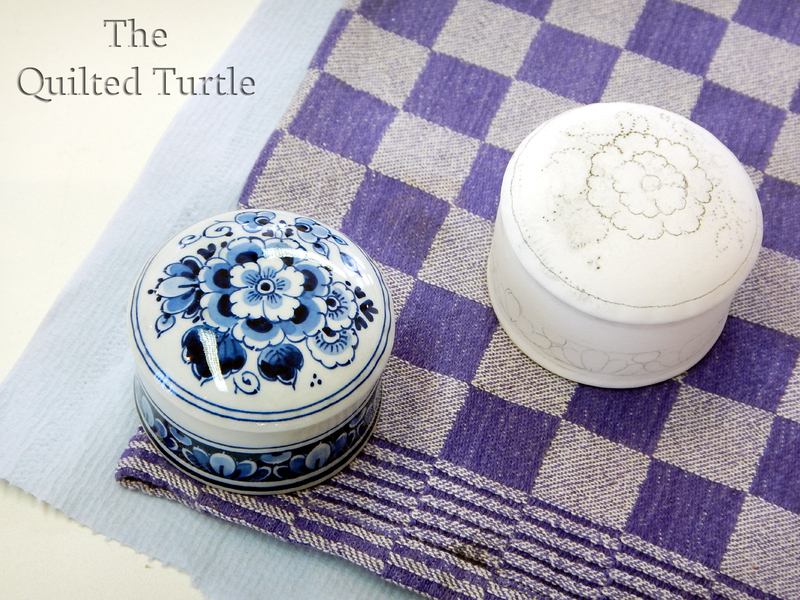 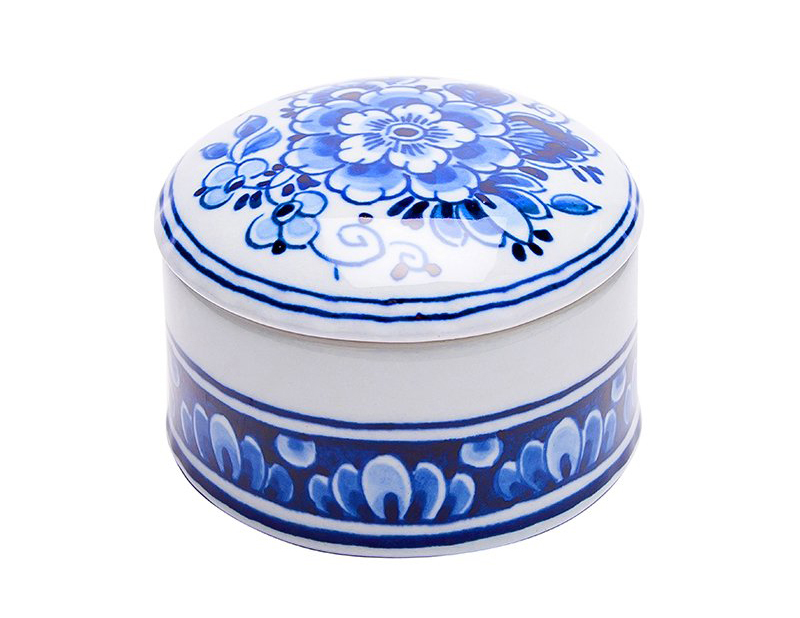 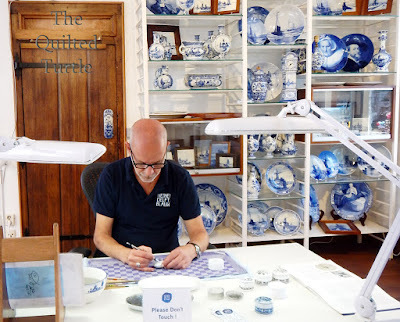 I just love blue and white Delft pottery. OK, maybe not the cats and chickens, but I think the plates, vases and boxes are beautiful. 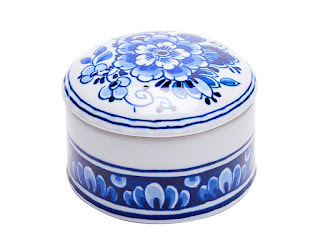 A bit grandmotherly perhaps, but I'll be a grandma someday, right? 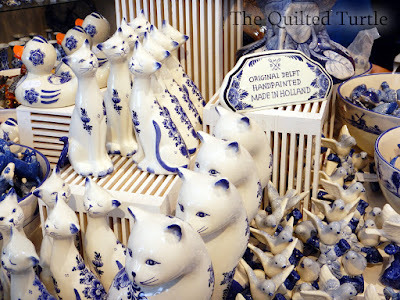 Every time I've see a Delft shop, I've wanted to go in, just to take a peek at the lovely things inside. 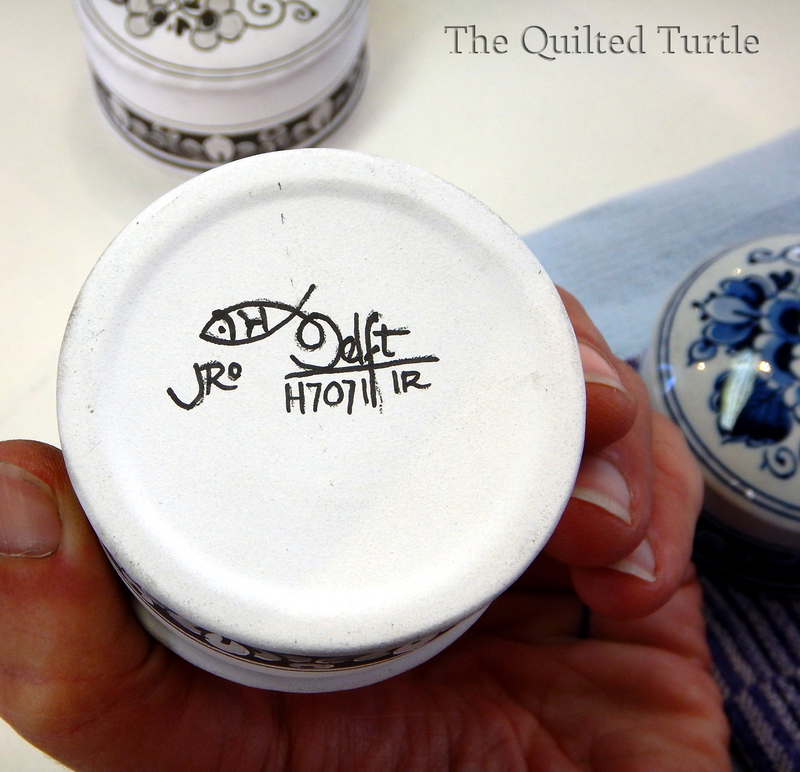 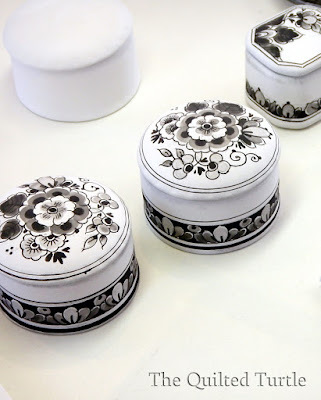 Peeking was a good thing today because we happened on a gentleman demonstrating how these hand painted-items are made.